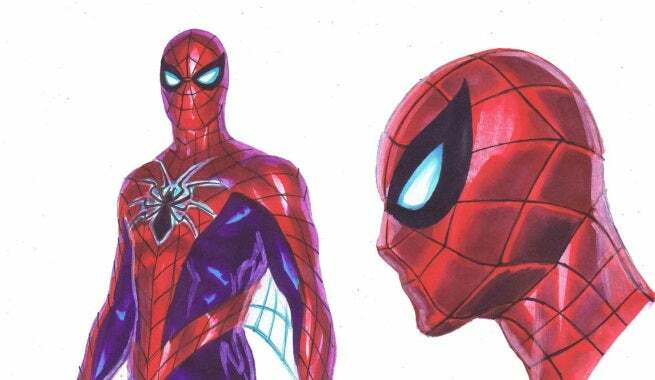 Marvel has officially revealed the newly redesigned Amazing Spider-Man, debuting in Oct. The new series will see Peter Parker finally stepping up as founder of Parker Industries, and becoming a globetrotting entrepreneur, MTV reports. Peter will be sporting a new costume designed by cover artist Alex Ross, which will feature some hidden technological enhancements. Check out a more detailed look at the costume and car, Ross and Camuncoli’s respective sketchbooks, in the gallery below.